Chocolate Brownies are a marvelous invention, aren't they? All that thick and gooey chocolate, sometimes mixed with a complementary flavor, is enough to tempt any taste-bud that craves sweets, like mine! My mom made the absolute best brownies in the world! I may be slightly prejudiced, but honestly, if you tasted them, I think you'd agree. Mom's brownies were a bit different than many. They were extremely moist, but light, not thick and heavy like so many others. My mom's homemade brownies were also topped by the most delicious chocolate icing, too. I'm going to share my mom's famous brownie recipe with you soon, and I'll add a link to it when I do. You've got to try it and tell me what you think. Okay, here it is! 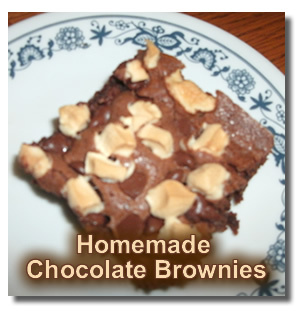 The best brownie recipe, in loving memory of my dear mother. I hope you enjoy it as much as I always have. Of course there will be a lot of other brownie recipes to choose from also. I hope you'll be so kind as to add YOUR mother's or grandmother's recipe, too. We want to create our own little "brownie heaven" section! By the way, if you haven't tried it yet, consider making your favorite brownies in an edge brownie pan to give everyone a chance to enjoy the crunchy edges. 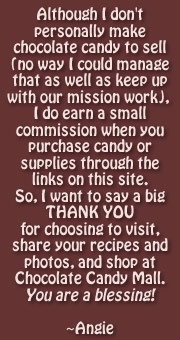 And don't forget to share your recipes with us! What Are Your All Time Favorite Brownies? Seriously, though, let's see who comes up with the best brownie creations of all time. Submit yours and we can all judge and comment for ourselves.